Simple, clean and understated lines are a feature of the practical and economical Flat Roof Homeshed Garage. 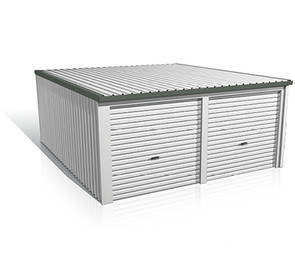 With a wide range of storage shed sizes to choose from, there is a Flat Roof Homeshed Garage to suit every requirement. 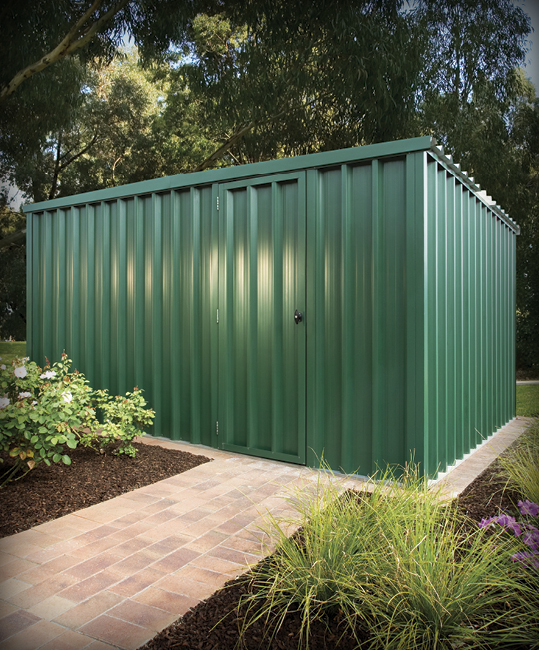 The range starts with a large garden shed named the Potter, which is a robust, practical storage shed. After the Potter the Flat Roof Homeshed becomes a true garage with roller doors fitted as standard, perfect for use as a carport. Available in a wide range of colours, Flat Roof Homeshed Garages come standard with gutters and downpipes. 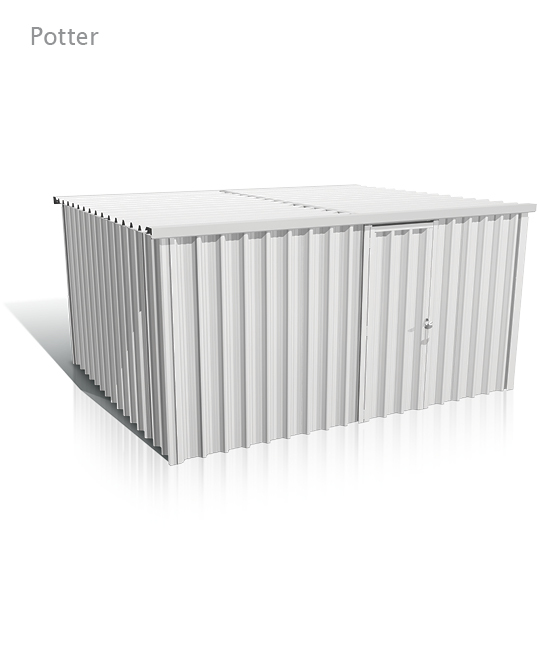 The roof and walls are clad with Prodek® steel sheeting. 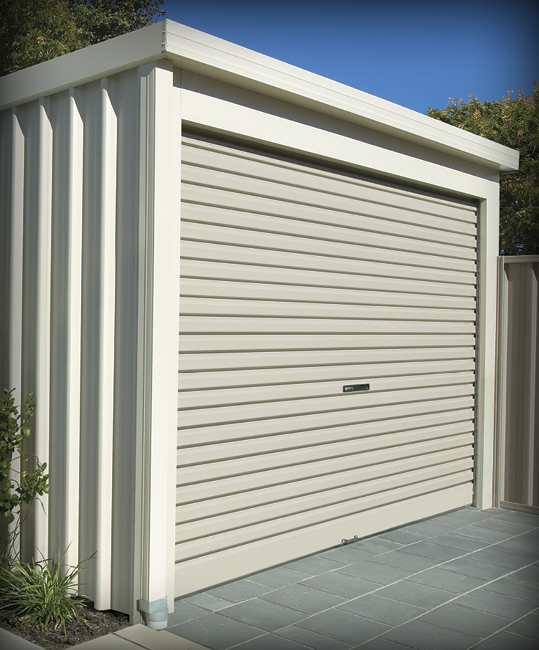 Single sided colour is used on the garage walls, while the roof is unpainted zinc/alum. 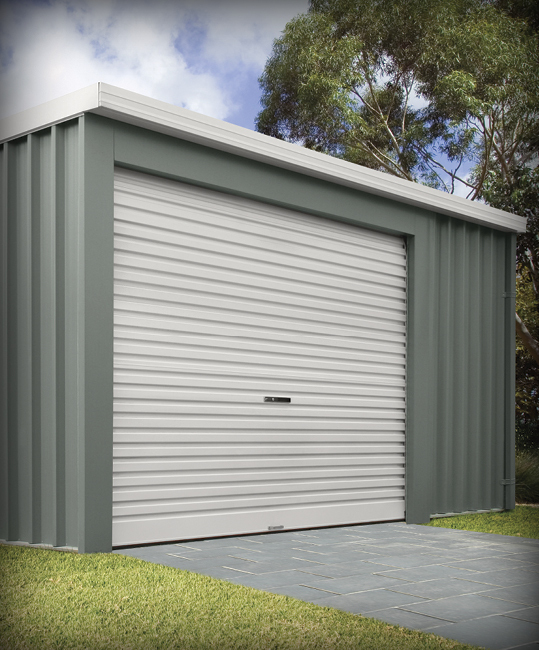 Deep 50mm ribs in the Prodek profile make it strong and durable, this allows the inside of the garage to have a clean, uncluttered appearance without the need for support rails. Options include windows, a personal access door, a coloured roof and dust resistant foam strips to fill any gaps. 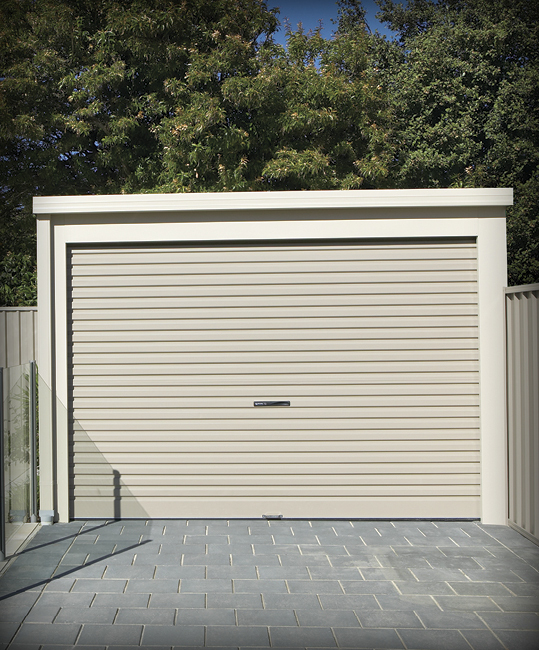 The garage roller doors can be fitted with a remote controlled door opener. Flat Roof Homesheds Garages have 13 different sizes. There are seven single sized sheds and six double sized sheds. 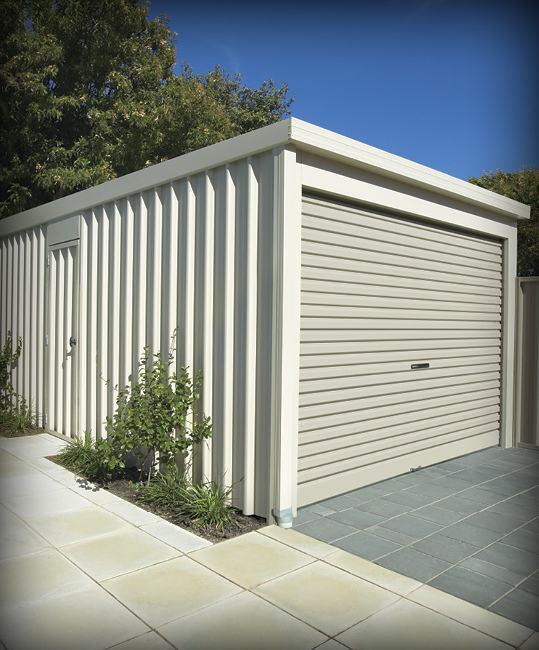 The Potter Shed has a wall height of 2100mm, while the rest of the Flat Roof Garage Range have two wall heights of 2400mm and 2700mm. All Flat Roof Homesheds Garages, except for the Potter, are available with the Handiman Extension, which adds an extra two metres to the length of the shed. 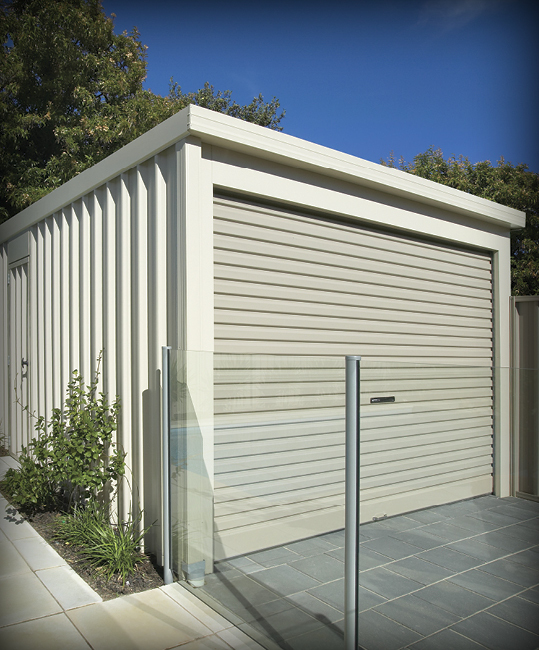 When storing a vehicle, the Handiman Extension gives you the extra room for further storage on the back wall. The table on the ‘Dimensions’ tab provides a full list of the sizes available. 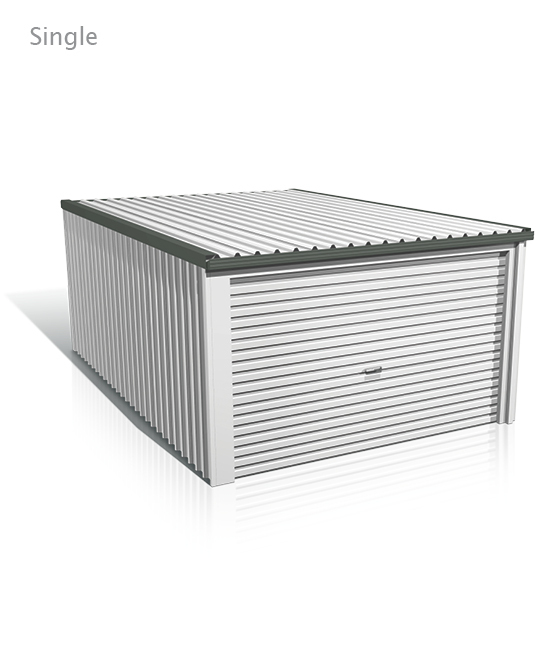 Flat Roof Homeshed Garages of all sizes are suitable for use in wind speed areas of W28 (N1) and W33 (N2), while only Single Flat Roof Homesheds are available In W41 (N3). 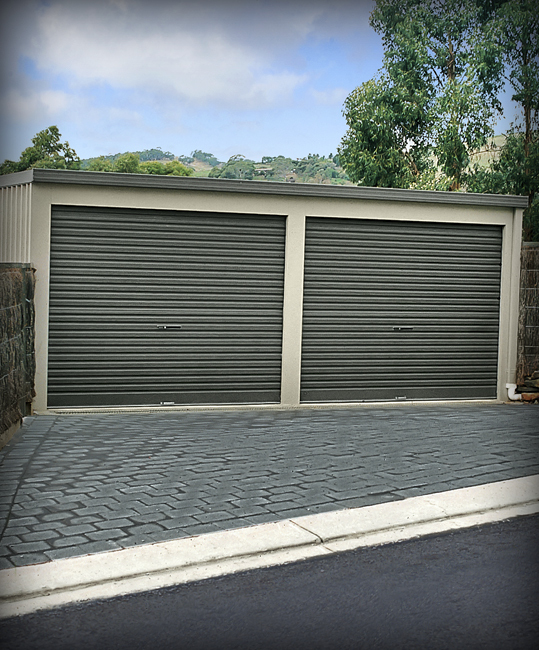 Homeshed Garages are designed for non-cyclonic areas. For your guarantee of structural integrity, all calculations and tests carried out on the Flat Roof Homeshed Garage range have been certified by recognised, independent structural engineers. 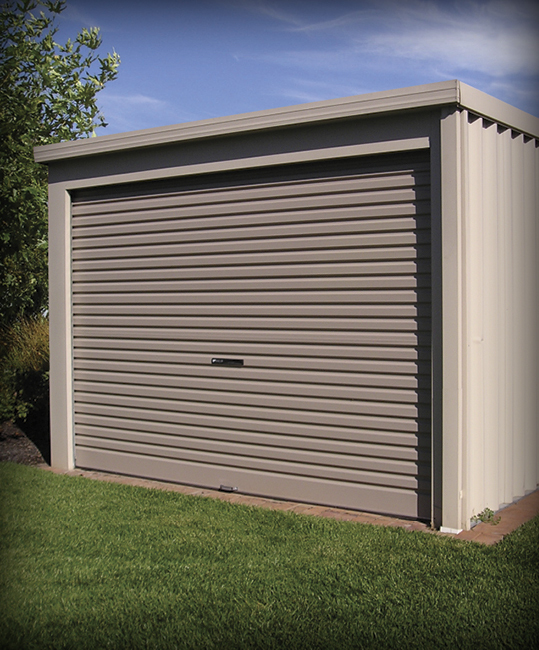 Flat Roof Garages are developed with the do-it-yourself builder in mind. For a simple ‘bolt together’ assembly, Homeshed Garages feature pre-cut and pre-drilled framework and pre-cut steel sheeting. Instructions that are easy to follow are included. Alternatively, we can do the job for you. Your Stratco Flat Roof Homeshed Garage will maintain its good looks for longer with a simple wash and wipe down with a soft broom. Stratco Garages are produced from the highest quality materials and will provide many years of service if the important recommendations set out in the ‘Selection, Use and Maintenance’ brochure are followed. 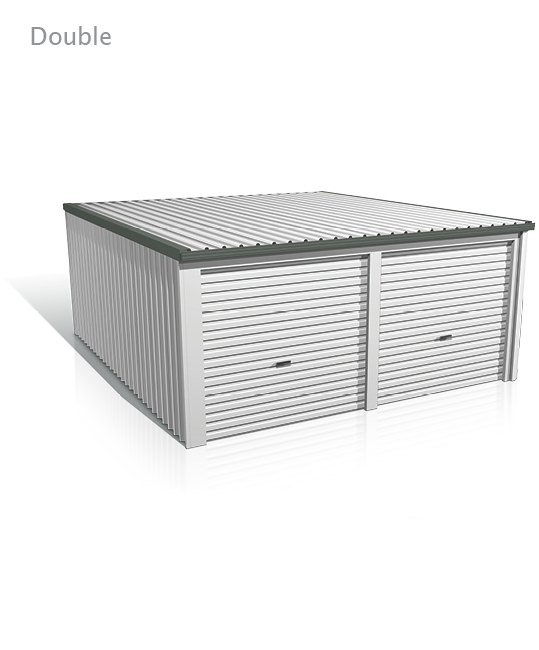 All Flat Roof Homeshed Garages are available in 2400mm and 2700mm heights, except for the Potter storage shed which has a wall height of 2100mm. Note:Some sizes are not available in all states, please check for availability.